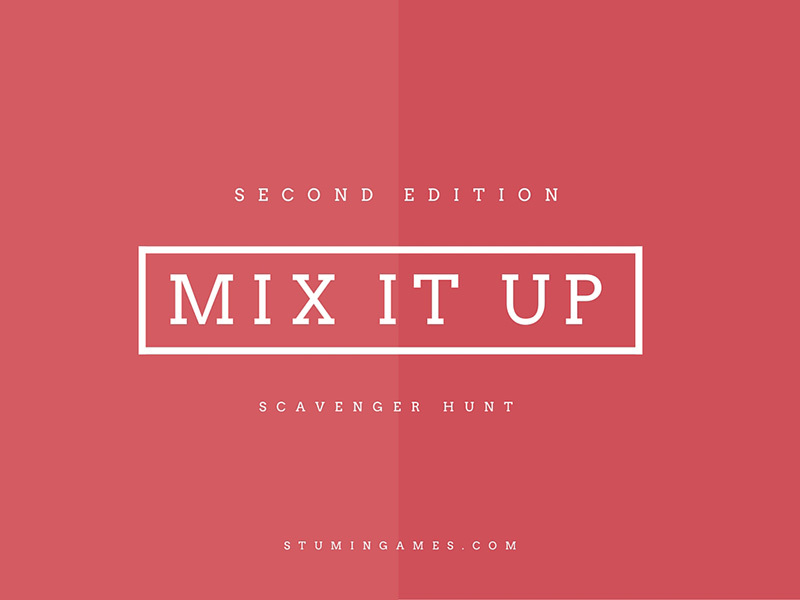 We continue our 40 Days of Scavenger Hunts with our second Mix It Up Scavenger Hunt! While we will be sharing many themed scavenger hunts, we know there are times you need a basic scavenger hunt that you can use anytime. Over the next few weeks we will be sharing eight different scavenger hunts that fit this mold. Today we share our second one of these with our first Mix It Up Scavenger Hunt #2 from Ray Hintz & StuMinStuff.com! Scavenger hunts are a fantastic way to build a sense of team and have a blast doing it. Smaller groups also allow you to identify leaders and other important characteristics within your group. As you travel around for the hunt, remember that you may need a few bucks for gas, food and some prizes. Other than that, you are good to go. Today, we continue our scavenger hunt list with our Mix It Up Scavenger Hunt #1. Print the Mix It Up Scavenger Hunt #2 before you start. Once your group arrives, take a moment to determine how many teams you will need, separate your group into teams, and assign them drivers. 3. Award gift cards or other prizes to the winning team and make sure to share it on social media!